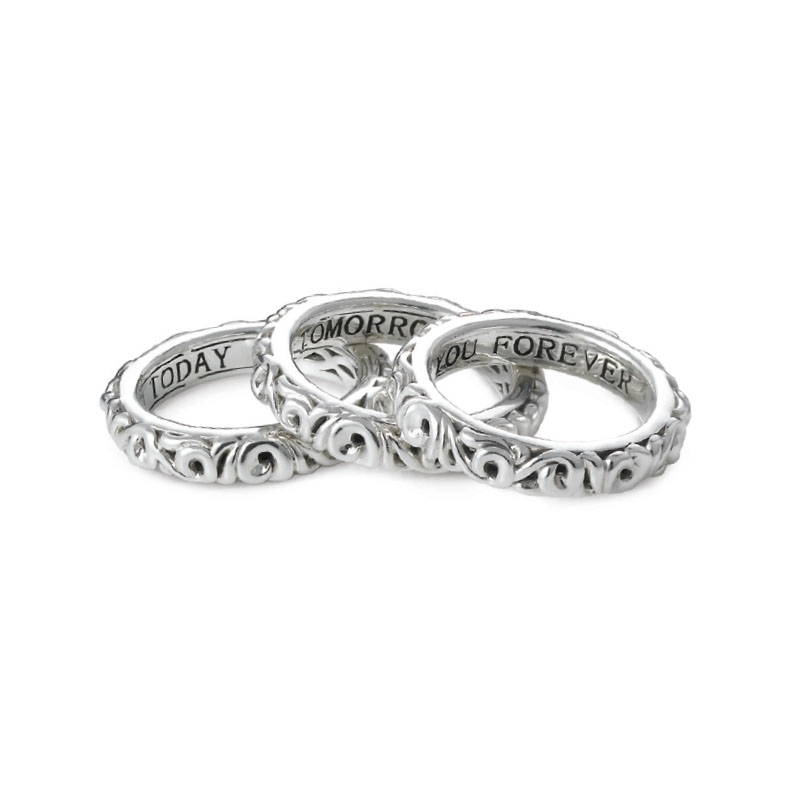 Ring Details: 3 rings with the 'I Love You Today', 'I Love You Tomorrow and 'I Love You Forever' inscriptions. Each ring features a round cut pink sapphire of exquisite color and a textured finish. Ring Design: Charles Krypell sterling silver Ivy bead design. Measurements: Charles Krypell rings can be ordered in the following finger sizes 5.5, 6.5, 7.5 and 8.5. 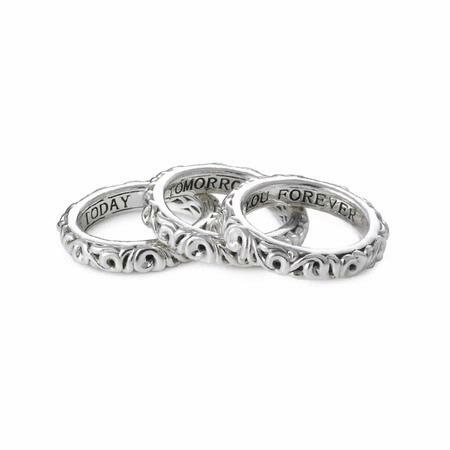 A brilliant gift idea, this Charles Krypell sterling silver ring set features 3 ring with the 'I Love You Today', 'I Love You Tomorrow' and 'I Love You Forever' inscriptions. Each ring features a round cut pink sapphire of exquisite color and a textured finish. Charles Krypell rings can be ordered in the following finger sizes 5.5, 6.5, 7.5 and 8.5 Please specify in comments box (located in last step of check out) what size you need. We are an authorized Charles Krypell dealer. Please call for pricing 1-800-790-6980 or 1-212-302-2863.